Learn how to cover and decorate a cake for that special occasion. 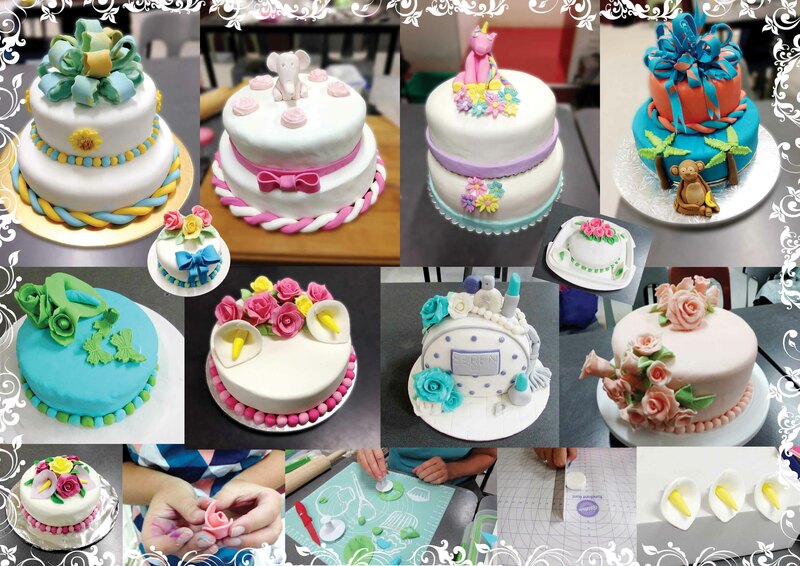 You will be inspired by the ideas learned here; including piping, moulded blossoms, leaves, flower, drapes and bows. Limited only by your imagination. Materials cost extra.